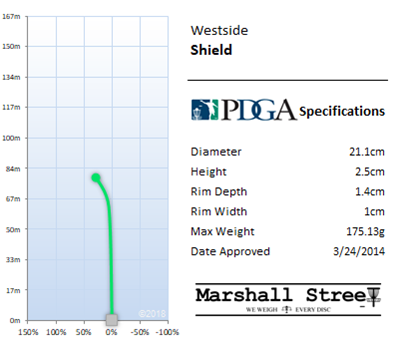 Westside says: Westside’s newest putter on the market, the Shield, is the next step up from the Swan. 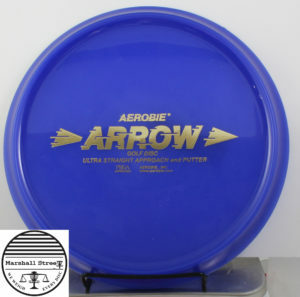 Designed with a tacky grip in the BT plastics, the Shield is a little thicker and has a small bead on the rim. 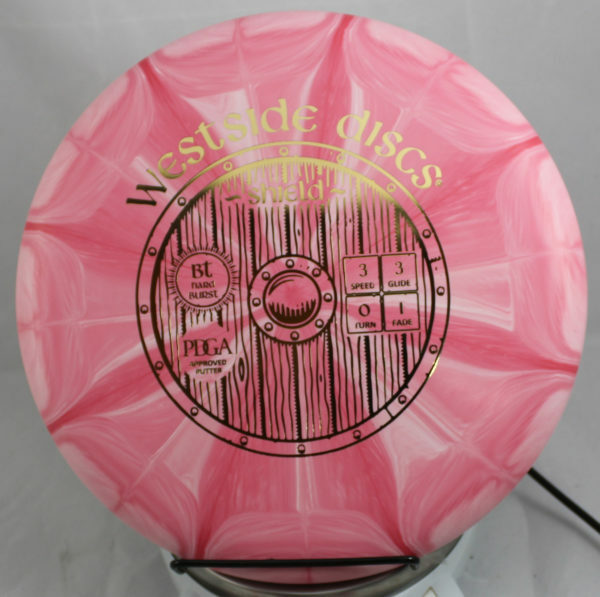 It holds a stable line when throwing as an approach and a straight line into the chains while putting.